If you’re planning to go “coastal” for the winter it’s time to make your reservations now. We have many long term winter rentals available at reduced off-season rates. 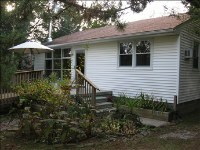 Those include Cape May Point vacation rentals such as this one. Snowbirds love this area and many return year after year. Staying here on Cape Avenue you’ll be surrounded by nature and can enjoy the ospreys soaring above Lake Lily. Tucked away on Cape Avenue you will find peace and quiet here on Pia’s Point. This is a private retreat that is walking distance to beaches. It’s a nice quiet place to spend your winter and save money, too. Enjoy the cozy living room with wood stove, hardwood and tile floors, modern kitchen and a lovely sunny dining room. There’s a lovely backyard that is bordered by the state park forest. Enjoy grilling the evening meal on the gas grill then dine in the screened in porch. The location is great for bird watchers and the family dog will enjoy being with you as this home is pet-friendly. Amenities include high speed internet and cable so you can stay connected to your friends and family. You will love the amazing off-season deals we have on Cape May Point vacation rentals as well as others in the Cape May area. You’ll have everything you need to keep those winter blues away when you come spend the winter with us plus you’ll be able to enjoy the restorative and rejuvenating effects of being this close to the ocean.